12' Prized for the individual beauty of its large shapely blooms, this newer Japanese seedling introduction has a neat vase-shaped, then gently spreading habit. 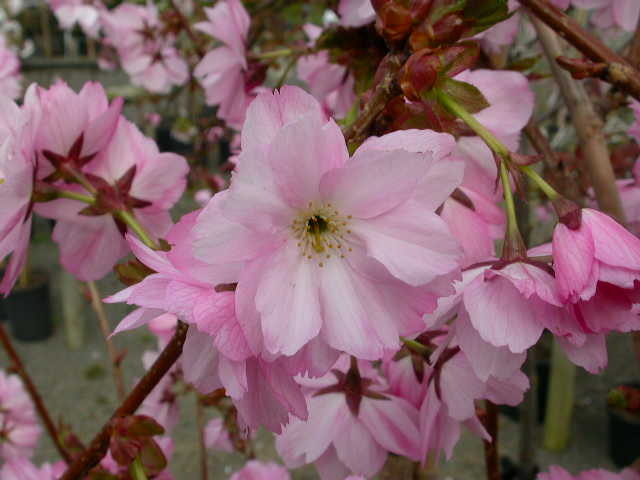 Ots leaves are coppery at first and a superb foil for the pure pink flowers which are noticeably paler in the centre. Almond scented; superb and choice.